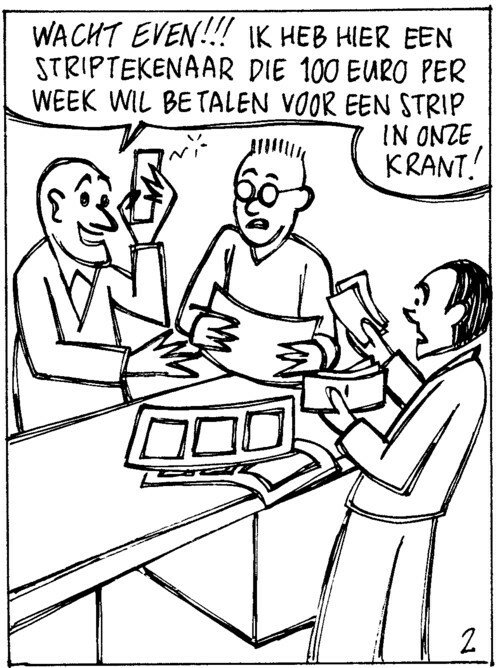 Last week an action started after a Dutch newspaper asked comic artists to make comics for free. It was actually a contest, but there was no payment for the winners. 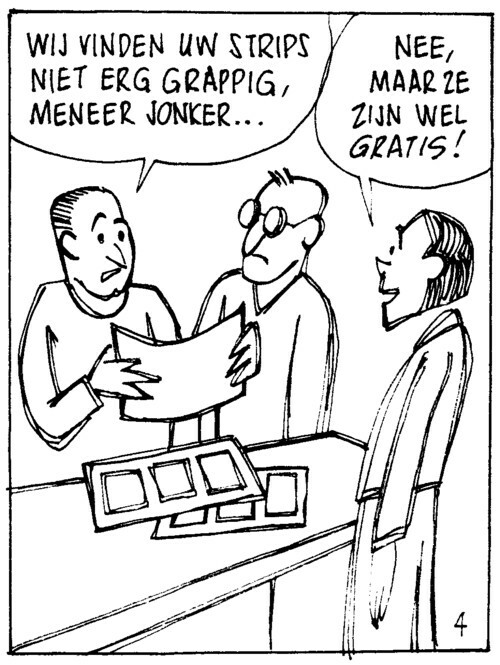 Anyway, somebody started an action on FaceBook called “comic artists shouldn’t publish comics in newspapers for free.” Within two days about 200 people signed up to this campaign. I never like it when people tell me what i should or should not do. And neither do i like actions against anything; i think it is much better to be for something. So i posted a joke that felt like making a free comic for a newspaper. Although it was meant as a joke, i really liked the idea. If i would have been able to draw a comic, i would have certainly done one. (Not for a newspaper, of course, but just to upset those 200 people.) Unfortunately drawing comics is not yet part of my talents. I have to work this weekend (building a gardenhouse for friends) so i don’t know if i will be able to pick up this little project again after that, but right now i want nothing more.